That’s important as today we’ll finalize our discussions about the glass system as a part of the eight critical areas that you need to understand before purchasing replacement windows. One of the most commonly referenced, but maybe least understood, part of a window is low e glass. 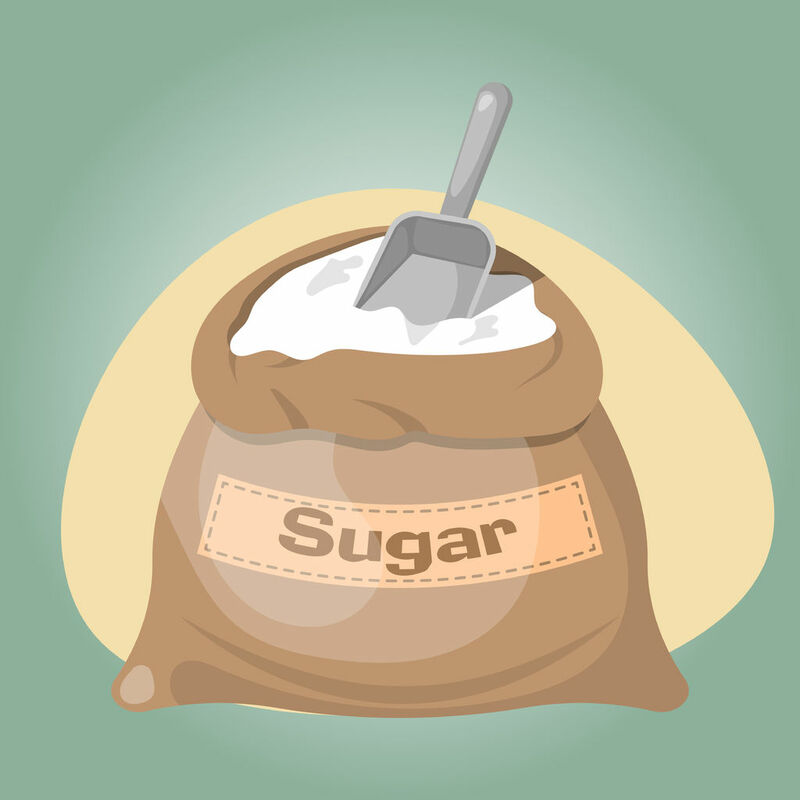 For many people sugar is a commodity, and when given choices about different commodities, purchasing decisions are most often made on the basis of price alone. For those manufacturers and contractors selling the cheapest products, making a real attempt to paint low e glass replacement windows as a commodity is a fact of life. In other words, they’d have you think that low e is low e is low e…Of course, their thought process is that if they can make you think that all low e is the same, and that low e glass is the sole deciding factor in the performance of the window, then their low “advertised” price wins the day. Two problems with that…first, there are undeniable differences between types of low e; the materials used, how much low e is applied and the way it is applied. All of these affect the performance of the low e glass. Second, as we’ve discussed the greatest low e glass replacement windows in the world become worthless when the seal fails. 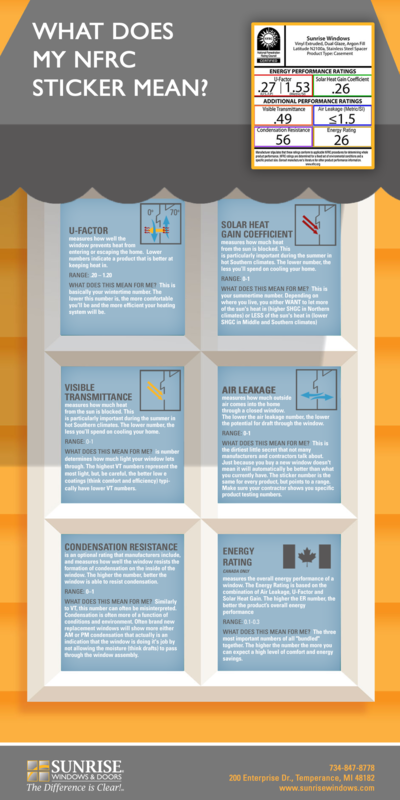 Low e glass is just one part of an interdependent system that contributes to both the short and long term energy efficiency of your replacement windows. Types—There are two basic types of low e glass, hard coat and soft coat. Materials—As the names imply, hard coat low e’s typically have harder minerals as their base, such as iron and iron oxides, although some newer hard coats use different elements such as indium. Soft coats, on the other hand, use softer minerals such as silvers and zinc. The relative “softness” of the materials affect placement of the low e coatings, as soft coats are generally placed somewhere between the two panes of glass where they are less likely to be scratched, etc. Application—The original low e’s were almost always hard coats and they were applied to the glass while it was still in a molten state. This allowed some movement of the low e which affected the consistency of the coating. Soft coats are often “sputtered.” The easiest way to describe sputter coating low e glass is to imagine that the glass is like a magnet and the low e coating is like a metal. The metal is, in essence, drawn to the surface of the glass allowing for more consistency in coverage, and, therefore, performance. Amount—Sputter coating also allows for more low e layers, maximizing the reflective ability of the product. The “e” in low e stands for emissivity. 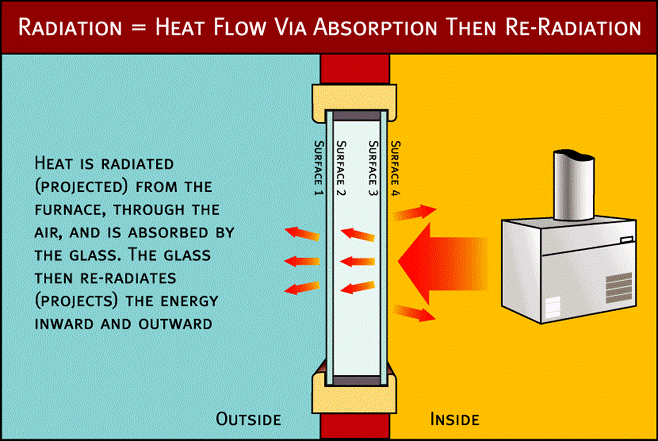 As a way to try and simplify things, emissivity sort of measures how much radiant heat is absorbed versus reflected. Generally, highly reflective materials have a lower emissivity rate than a dull, darker, heavier material.That’s why today’s silver-based low e’s do a great job of offering superior year round performance. What’s the most reflective piece of glass in your home? The Queen in Snow White knew the answer, it’s a mirror. Mirrors are made of glass, with, most often, a coating made of….wait for it….silver. Today’s silver-based low e glass coatings reflect the furnaces heat back into the home in the winter, and the summers heat back at the sun in the summer. To bring this point a bit closer to home, the next time you find yourself driving around a mall parking lot in the summertime, trying to find a parking place, look at the number of cars that have something folded out in the front windshield with a foil look to it. If you’ve ever used one of those yourself, you’ll know that the inside of your car will stay much cooler than if you didn’t use it. 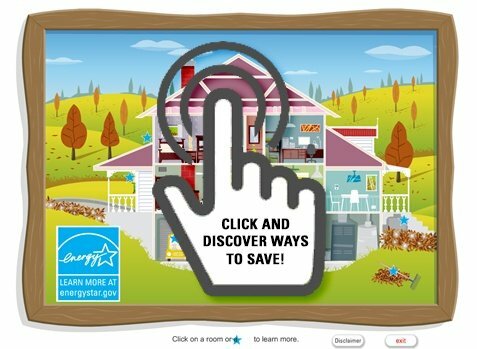 While Energy Star certifies different glass products based on where you live, your level of comfort is a personal choice. 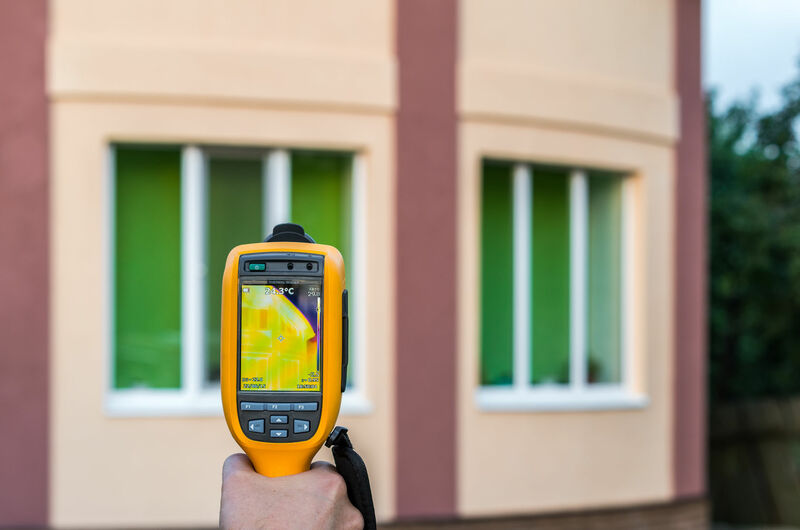 Most homeowners opt for a low e glass that offers the combination of the lowest U values (keeping heat in your home) and Solar Heat Gain Coefficients (SHGC—keeping heat out of your home) for the best year round performance. 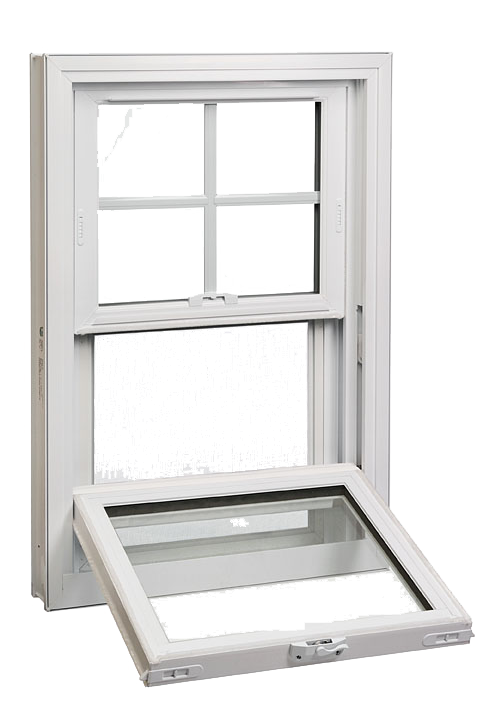 These types of low e glass replacement windows, used in conjunction with high quality spacer systems that allow for optimal levels of gas fill can insure performance that last the life of your home.